Ack! I was supposed to be updating here every week but I’ve failed, yet again! 😞 I guess tumblr got the best of me, again.. updating every single day. Tsk tsk! 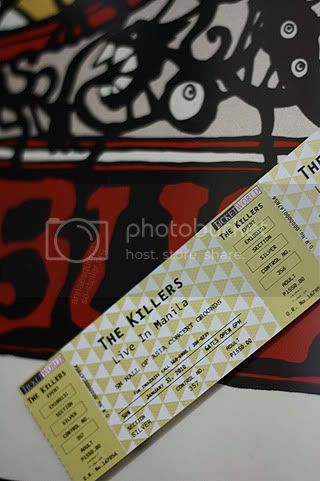 Yesterday I went to Ayala to have my tickets for the canceled concert of The Killers refunded. Inside the office, a guy was waiting for his money to be given to him.. moments later a lady came back and she handed the money to the guy. After he signed some papers and took the money, he went back to where he was seated and fixed some stuff. Out of the blue he asked me if I was going to have my tickets refunded too and a random conversation started with this total stranger. It didn’t last long and after 30 seconds it was over and went out and waited for the elevator. It was really “too bad” that the show got canceled, he said its because they’re going to be disbanded, I thought that it’s because of low ticket sales like the Slipknot concert that got canceled years ago (hahaha). That’s that. He left and then when I got my money and signed my papers, my brother came.. talk about wrong timing and lateness! 😂 In the end, the three of us (My brother and I and the guy who talked to me earlier) were in the same elevator. Nah, I didn’t say hi or anything, I got shy. 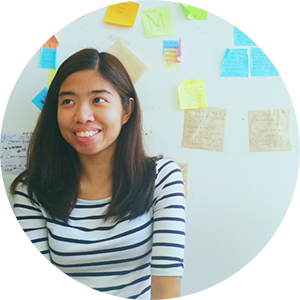 With PHP 3,100 in my hand, what was I supposed to do with it? For four hours Alex and I went around Ayala, getting to Greenbelt, Landmark and Glorietta looking and trying out stuff at Power Mac Center, Music 1, etc.. I got home with 2 new clutch bags and lots of food (consumed in hours only, heh). I’m pretty excited to use the bags I bought.. I got a grey one and a brown one. The brown one I plan to use for school (gotta pick the right time for it), the grey one.. well, maybe on parties if I do get to attend one. FRIENDS, PLEASE SET UP A PARTY THAT REQUIRES GUESTS TO WEAR SOMETHING FANCY LOLOL. PS: I know my layout is seriously AGES old, I seriously want to make a new layout.. where did my skills go? 😞 Even I am getting sick of Hayden’s face, lol. same as vina, want to see those bags .. waiting for updates. You should go to Paramore’s concert! If you like, I’ll go with you. Haha!